The ability to communicate quickly and decisively, across a lattice-work of interactions is essential in today’s fast-paced and complex healthcare context. This session looks at how to refine your communication skills in the workplace to be more assertive when advocating for your patient, and why emotional intelligence is a big factor when communicating in a high-stress setting. this was a good way of looking at how best to respond in certain situations we may often come across in our day to day work life. I really like this podcast, It highlighted the points where I find myself comfortable and able to be assertive in a non-judgemental manner.I do this easily and with self awareness, I have never found myself in a confrontational manner with my patients due to this acknowledgement of myself. Being self aware and knowing what your body language is stating from someone else point of view. Full of useful information. The presenter was engaging and knowledgeable of the subject. Thank you! Yes, inspiring sentiments on a super hero level. Excellent lecture. 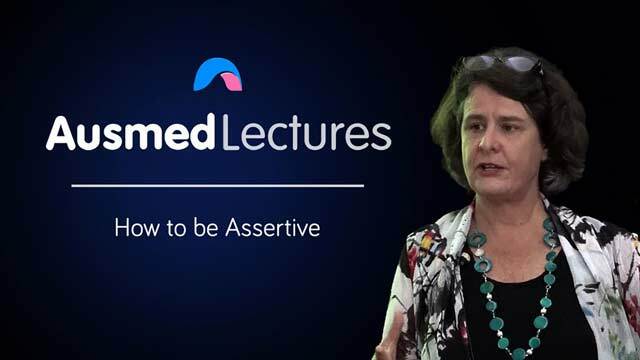 Very useful tips and tools for increasing assertiveness skills in the workplace.